Polyking Electrial Installation Division was setup especially to perform all types of electrical maintenance, rectification and repairing for our customers. Our services ensure the electrical supply units are in safe and efficient working condition by performing annual overhaul work and scheduled checks. Leakage of piping system could immensely pump up the cost of properties' water bill. Our team of experienced engineers are qualified to perform both commercial and domestic plumbing and drainage system to help customers reduce the risk of leakage as well as maintaining the satisfy working condition of the system. 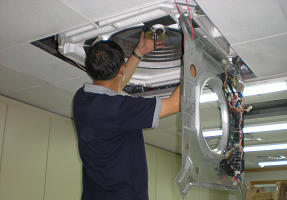 Maintenance on air-conditioning system is one of our specific technical areas. We can perform periodic inspections, systematic checks, filter cleaning and rectifications to most air-conditioning system. Our services offer assurance and improvement to our customers' air-conditioning system, making sure the air-conditioning system operates at optimum level with well circulated air at the necessitate temperature. 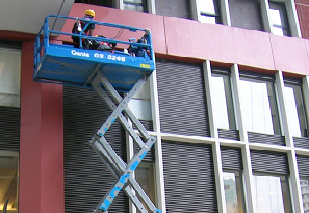 Polyking Mobile Maintenance Team is flexible to offer "one-off" repair services to individual flat, office or shop as well as "specialized" repair services to the entire building, estate or commercial area. We possess the necessary tools and special vehicles e.g. 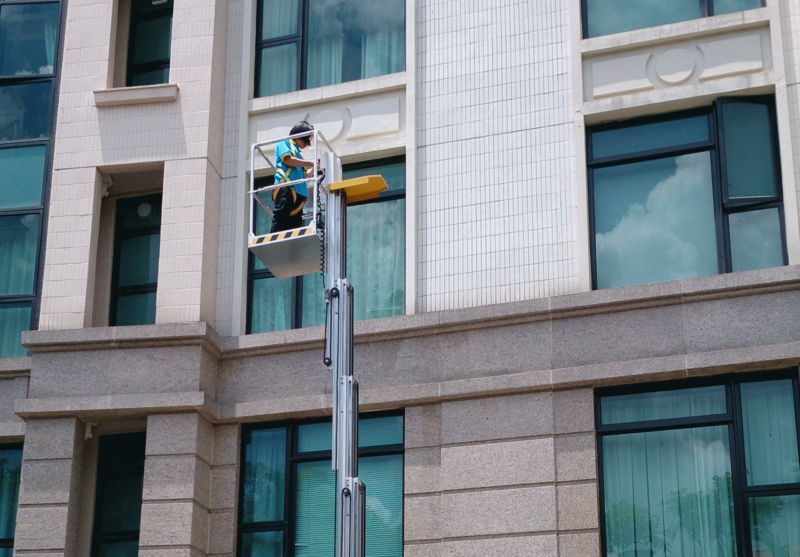 Gondola and Scaffolding to meet every client needs. 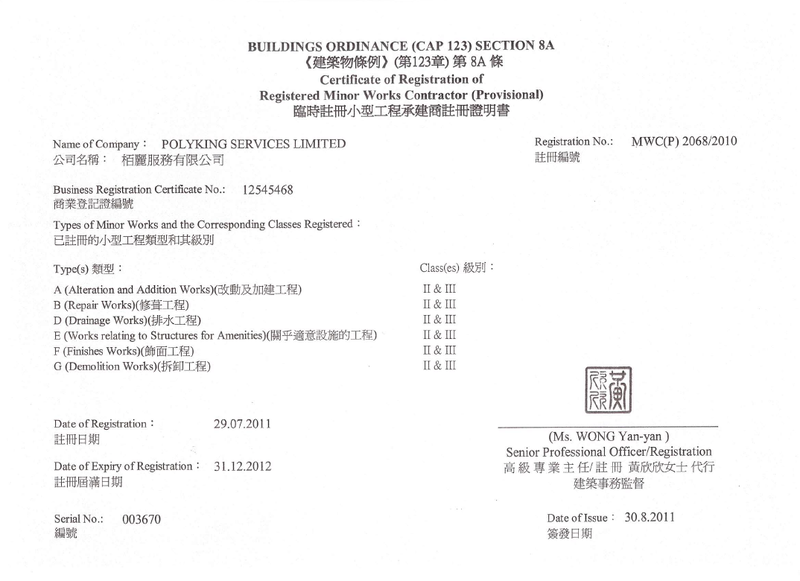 Registration of Minor Works Certificate. 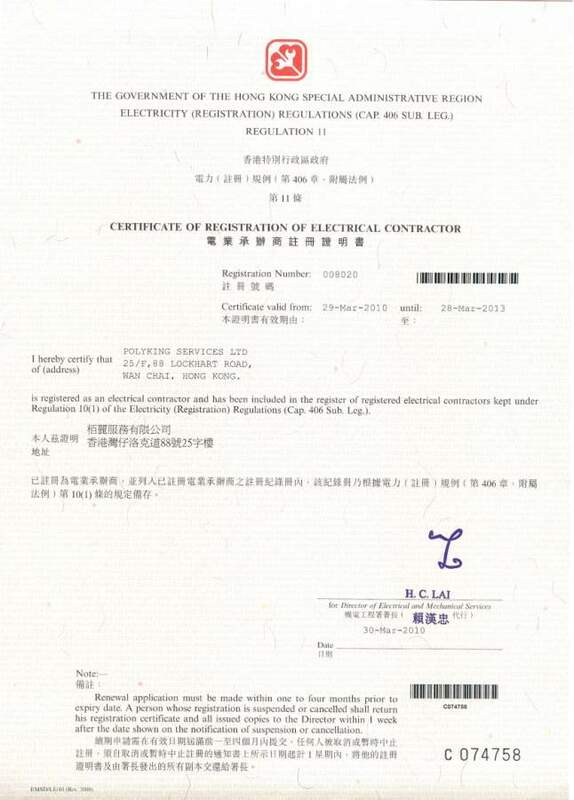 Certification of Registration of Electrical Contractor.